When you run a small business it may not pay at first to hire an accountant to help you keep your money straight. As your business begins to flourish it may become necessary to have a professional number cruncher on your side. 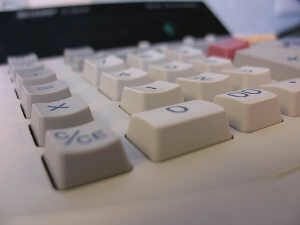 Unless you are particularly good with numbers, tax laws, and business finances you will need someone you can rely on to be sure you are getting your math right and handling business finances in the most effective manner. You may feel confident in your ability to track your profits and expenses using spreadsheets or accounting software. You need to also consider the time and effort it takes to manage the financial side of your business. Would your time and abilities be better spent growing your profits than counting them? Even if you have a solid handle on your finances bringing in help at tax time can be beneficial. Providing an accountant concise and accurate records will save you money because your accountant will need to charge you less hours to prepare and file your taxes. Tax professionals can also identify tax breaks that busy business owners don’t have time to research. Many professional accountants and financially savvy individuals have been downsized from their corporate jobs and are now soliciting their services on a freelance basis. This can be good and bad for your business. On the good side, a freelancer may be less expensive than an established firm. They may also be more inclined to get more personally involved with your business and take more care in understanding how you operate rather than just reviewing your numbers. Freelancers rely on word of mouth to grow their own business so treating you well is paramount to their future success. On the bad side, individuals offering freelance accounting services may not be as experienced as larger firms in handling small business matters. Some employed by larger companies have more opportunities for continued education while those who have gone solo may not be as capable or able to afford advanced learning opportunities. A freelance service provider may not be professionally licensed or meet the industry requirements as dictated by your state. There are likely some qualified, larger agencies in your area that will be accommodating to small business needs. The drawback to working with big companies is the risk of becoming “just another client” and getting billed for every phone call you make. Professional firms with a handful of financial professionals can be an asset to your business by helping you find the best methods for running your business finances, but they can be more expensive than individuals working on their own. Find a few larger and mid-sized companies to compare. Ask for references. Get recommendations from individuals you trust. Narrow down your list and schedule an introductory meeting with two or three of them to see which firm you are the most comfortable with. While your Aunt Martha may have been a bookkeeper for twenty years it may not always be the best idea for you to work with family and friends. When things go wrong it not only affects your business, it also affects your personal and family relationships as well. If you are considering using a family member or friend, you should set down some guidelines for how you will do business together. A family member may be a good choice for help when you are in the initial startup phase and need an extra hand, but for ongoing work it may be wise to consider hiring and paying for professional services. If you choose to consider a working relationship with someone close to you be prepared to stay in control of how you do business. Money and power are two elements that can quickly cause friction even in the best of relationships. Searching for an accountant can be a long process since you don’t want to just associate with the first name in the phone book. If you are contemplating getting help with your taxes and other financials, start your search before you actually need someone. If you are in a hurry to find someone you will be more inclined to make snap decisions that may not be in the best interest of your business. Rushing to identify a new tax professional toward the end of tax season will cost you dearly in the fees they charge. Start early and avoid the financial pain and stress.